EG won their second consecutive tournament and their first of 2017 by beating OG in the Grand Finals of the Dota Pit League Season 5. 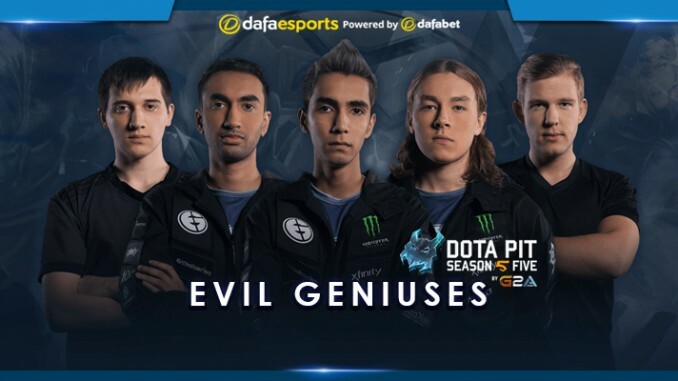 EG had thrashed the same team in the best-of-three winners’ bracket finals, but had to work a lot harder to win the best-of-five Grand Finals, with technical difficulties turning it into one of the longest Dota 2 Finals of all-time. EG’s path to the trophy was exclusively through the winners’ bracket. The team went undefeated, winning all four matches they played. First they overcame Team Faceless, who had improved a lot since the Boston Major and put up a good fight before falling 2-1. Then came Team Secret, who also took a game off the future champions in a fast-paced series, before EG condemned OG to the losers’ bracket finals with a clean 2-0 win. In the Grand Finals, however, there was a lot more intrigue as OG raised their game and took game one thanks to their overall superior damage and sustain lineup. EG won game two rather easily after gaining early control of the game, but OG bounced back, taking things to 2-1 by dominating game three. EG evened the score for a second time with a superior team fight magic damage draft in the fourth, while in game five EG chose heroes that had already worked out well for them. 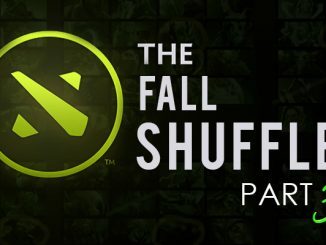 With three of the hero picks that had proven successful in the second game (Lone Druid, Enigma and Rubick), EG forged their victory and avenged their semifinal elimination at the Boston Major to the same team. The trophy is the second one for EG in the Dota Pit League as they also won the competition in 2013. Arteezy demonstrated yet again why he is considered one of the best Carries in the world right now. His third spell at EG looks like it will last a lot longer than the previous two following the team’s solid form since The International 2016. His high individual skill level showed in great plays with Clinkz, especially versus Team Secret, where he quickly snowballed and made himself unstoppable. He also had great performances on Weaver and the new Lone Druid. At the age of 17, SumaiL has already established a reputation amongst fellow pros as one of the most feared players to play against. Ever since he joined EG in 2015, he has become a key factor in the team’s success. One of his remarkable qualities is that he almost always dominates the mid lane and consistently performs at a high level. In Dota Pit League, SumaiL had the pleasure of playing some of his signature heroes who made a return in the current meta such as Shadow Fiend and Queen of Pain. On the other hand, he struggled with Ember Spirit in some games, most notably versus Faceless. UNiVeRsE has been on the roster of EG longer than any other player and is the quiet leader of the team. One of the most consistent players overall, he is known as the Offlaner who never lets the side down and always does what is required. He prefers to play in a more conservative style, more suited to farming, while avoiding unnecessary risks. He is also a solid presence in team fights, and this is exactly what he delivered in the Dota Pit League. He also showed that, apart from his usual hero pool, he is a master of the Enigma. The mild-mannered Swede is having another spell at EG after taking a hiatus to finish his studies. He is undoubtedly one of the best position 4 players the team has ever had. He can play almost any hero and EG made great use of this in the Dota Pit League as zai was the player with the highest number of different heroes played with nine. He handled some better than others, but his performances were generally strong. Chen and Slardar were the two heroes with whom he impressed the most. EG often relied on his Chen to provide pushing power from the jungle and in the only game where he played as a Slardar (vs OG in the winners’ bracket finals), his stuns proved crucial in the team fights. Coming into EG, Cr1t- took the position of captain and drafter and so far has done a great job. He is rumoured to be a lot more liberal than his predecessor ppd as he sometimes lets his teammates make their own hero picks, which can be a double edged sword. Nevertheless, Cr1t- and EG showed innovative in-game tactics on the Dota Pit League stage, such as countering Luna with Lone Druid and utilizing Underlord for well-timed hit-and-run attacks. As a player, he provided significant ganking and team fight impact throughout the games, most ostensibly with Rubick, Shadow Demon and Io. EG deservedly won the tournament and without doubt can be considered one of the best teams in the world right now. Their path to the final was not easy yet they made it look so. Despite this, there are weaknesses as the team did occasionally find themselves out-drafted. 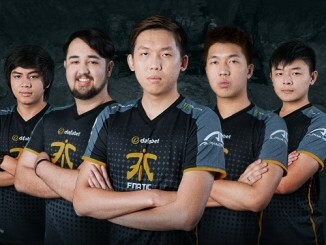 However, given the new patch and that Dota Pit League Season 5 was the first official tournament for the year, this is a problem that the team should be able to rectify so expect them to improve on this impressive performance as 2017 progresses.